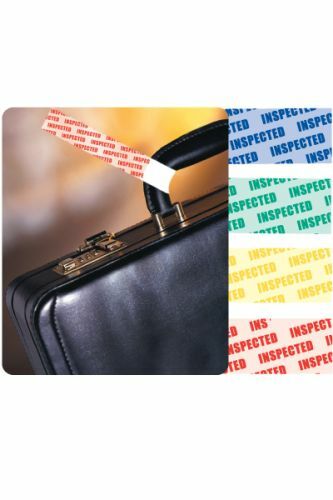 These TEMPbadge™ non-expiring inspection bands are a perfect tool for inspecting bags- purses and other belongings at events of all kinds. These bands can be given to security officers- who will attach a band to a bag after it has been inspected. This process will help prevent unauthorized objects from being brought into an office or event. Each band features adhesive ends that are stuck together to form a tight bond once fastened around a handle. The adhesive ends are attached to each other; the center of the band is made of a non-adhesive material- eliminating the risk of damage to the bag or handle itself.